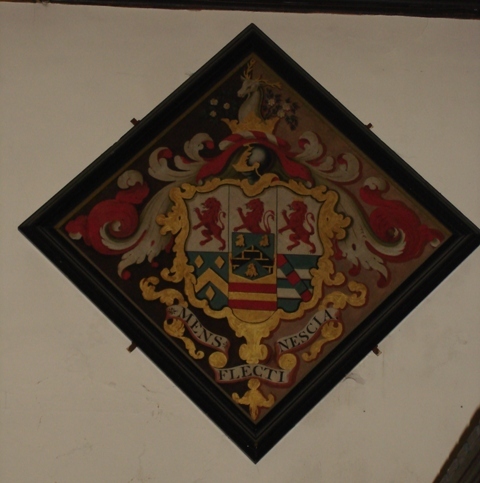 Adjacent to the Hulton Chapel are the Funeral Hatchments relating to three different William Hultons. These are particularly interesting and attractive examples recently restored - an expensive undertaking. The Funeral Hatchments have been restored by the Blackburn Museum and Art Galleries Service with the help of grant aid from the Council for the Care of Churches. The Hatchments now look magnificent as does the original Royal Coat of Arms located above the North Door. William Hulton, who died 1741, which has the arms of his wife, Mary Leigh, of Westhoughton, impaled with his own. 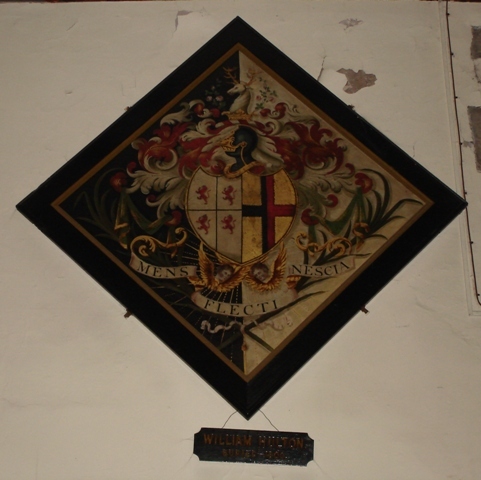 William Hulton, who died 1773, son of the above. 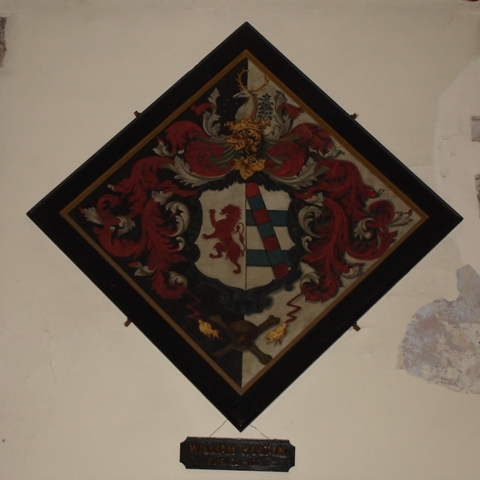 This hatchment shows several quarterings of coats-of-arms, and in the centre, on a shield of pretence, the arms of his wife, Ann Hall of Droylsden. William Hulton, who died 1800, son of the last-named William Hulton. This shows his arms impaled with those of his wife, Jane Brook, of Mere.